You're alone on an immobilized spaceship. Every day you send out distress signals in the hope that someone is listening. 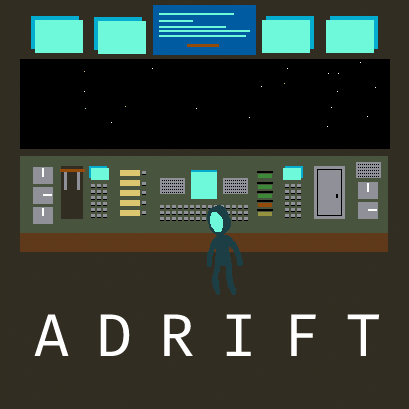 Adrift is a SHARECART1000 game. Unzip the file for your platform, and put the adrift_win or adrift_mac folder into an existing SHARECART1000 folder. If you don't have one, you can use the folder that comes with Adrift for all future SHARECART1000 games.